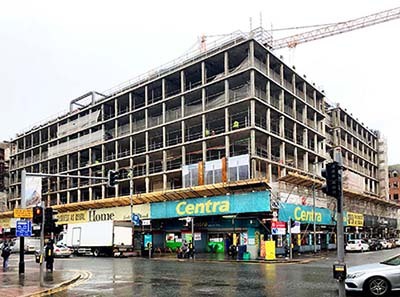 Unitised curtain wall is normally associated with new high rise building, but in Belfast, Aluprof systems are being used to help transform an existing office block with a completely new building envelope. Located at Wellington Place in the heart of Belfast, the Merchant Square Office Development will offer over 200,000 sq.ft. of Grade A office accommodation. The existing seven storey office block was designed by McAlister Armstrong & Partners and completed in 1975. The new £18.5 million redevelopment will add two further floors and will consist of a new Corten steel and aluminium high performance facade. 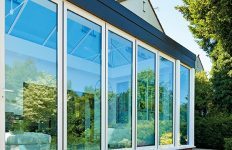 The external envelope was originally specified in traditional stick construction curtain wall, but Clarke Facades worked with Aluprof to put forward a superior offer using a unitised option. Crucial to this specification change with Like Architects of Belfast and their client, the Oakland Group, is that the proposal had to fall within the original facade budget. 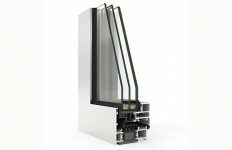 This was achieved using Aluprof’s MB-SE75 Capped Unitised Curtain Wall system. 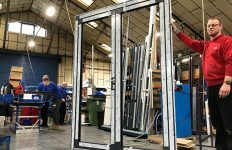 With the rise in use of unitised curtain wall systems in medium sized projects, the option of unitised systems is becoming a real alternative to a traditional curtain wall, especially as costs are becoming much more competitive. 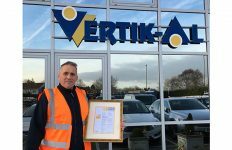 It is well known that unitised systems can offer up to a 50% time saving on installation which can offer significant savings on the project programme. Aluprof’s MB-SE75 Capped Unitised Curtain Wall system was then specified in an anodised finish, which then contrasts in accordance with the architects design, with the external Corten steel used in a vertical column emphasis. Facade installation started in early March and is expected to be completed in a matter of weeks, ensuring that the building envelope meets the tight installation programme. 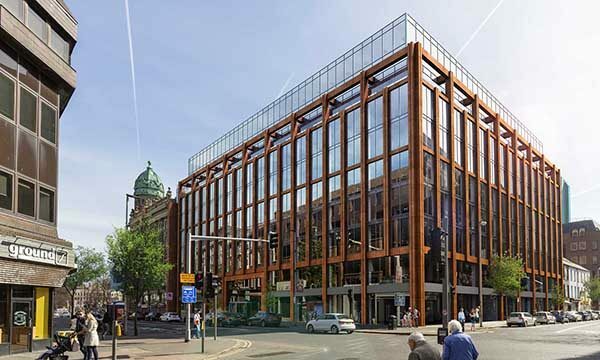 Installed by Clarke Facades of Ballymena, Co. Antrim, the project is due for completion in Autumn this year with a new anchor client, PwC, relocating approximately 2,000 staff to Merchant Square during summer 2020.